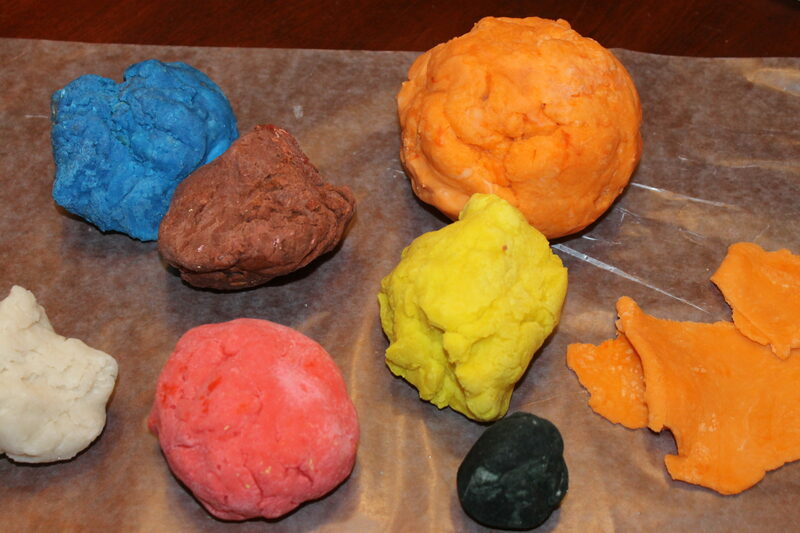 I have a play dough obsessed child. She loves all things play dough. Last year her birthday party was even, you guessed it, play dough themed. 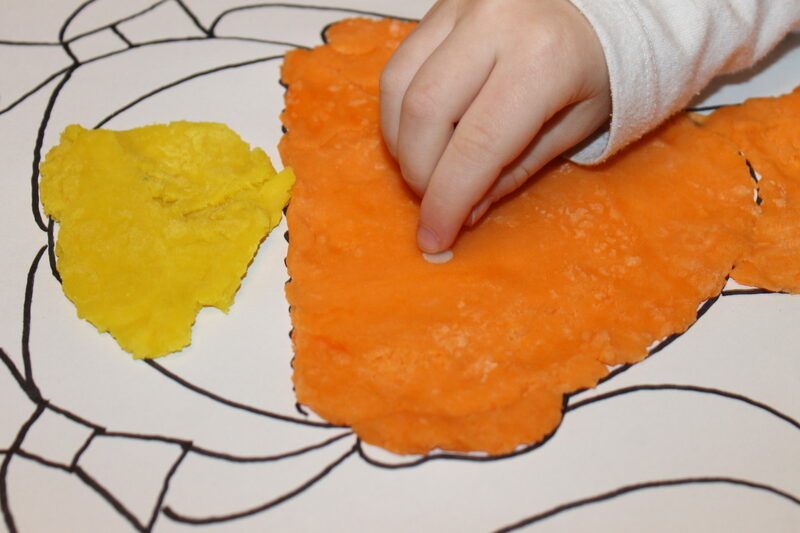 We have tried many different play dough activities, but we have not really ever worked with play dough mats. 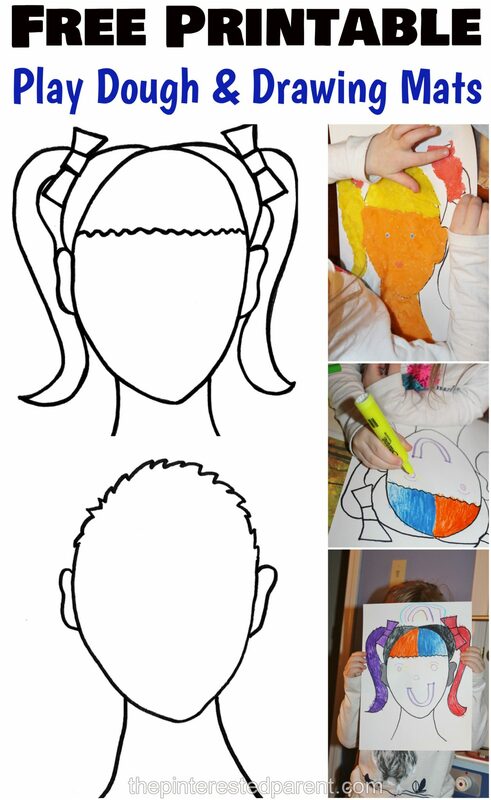 Since my daughter loves making people, I thought that face mats would be a great idea for her. Get your free printables at the end of the post. We started with a lot of dough. We rolled out the colors that we wanted. It made it easier to work with. 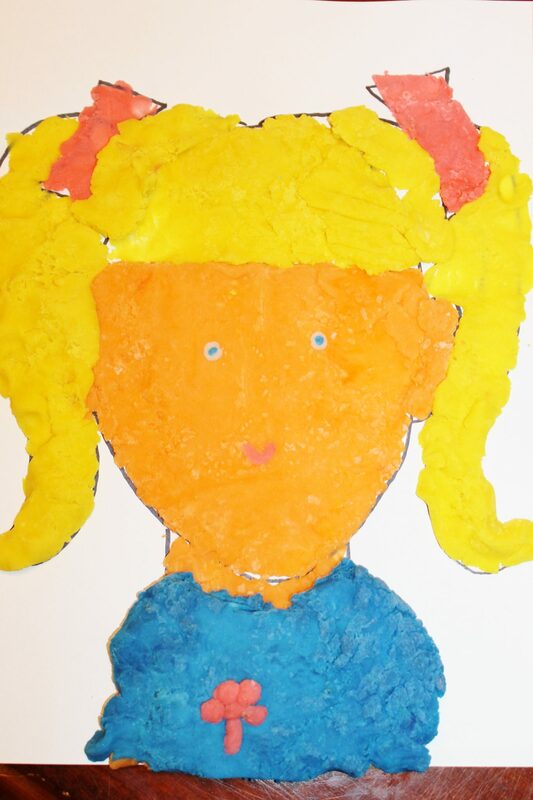 I helped her get started with the face and showed her how to spread the play dough out. 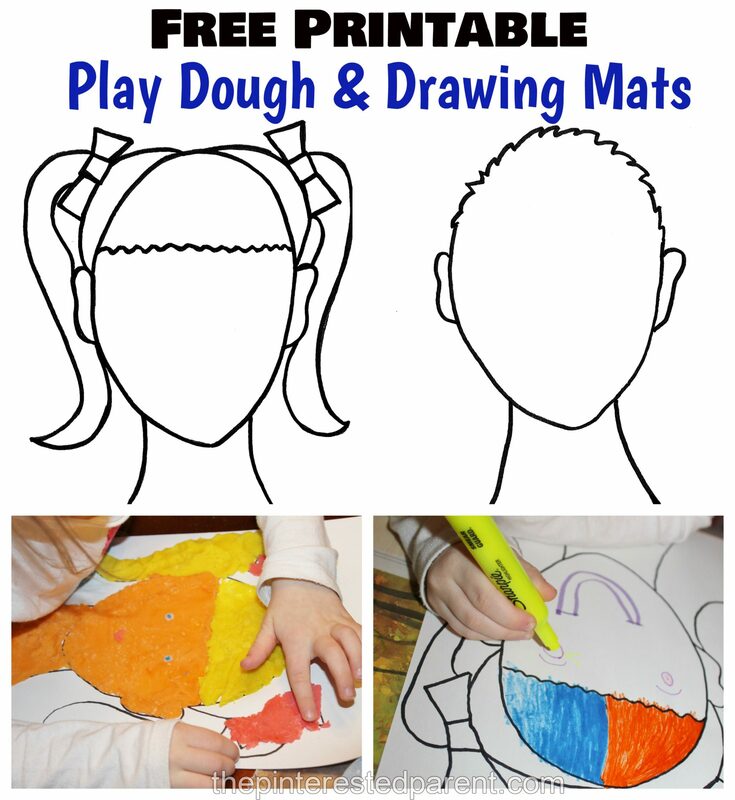 She spread out her dough & formed little eyes & a mouth for her little girl. She used a plastic knife to cut away any excess. She wanted to give her a shirt too. She made sure that the shirt had a flower on it too. She did a great job. Later that evening, she used wanted to draw on one too. 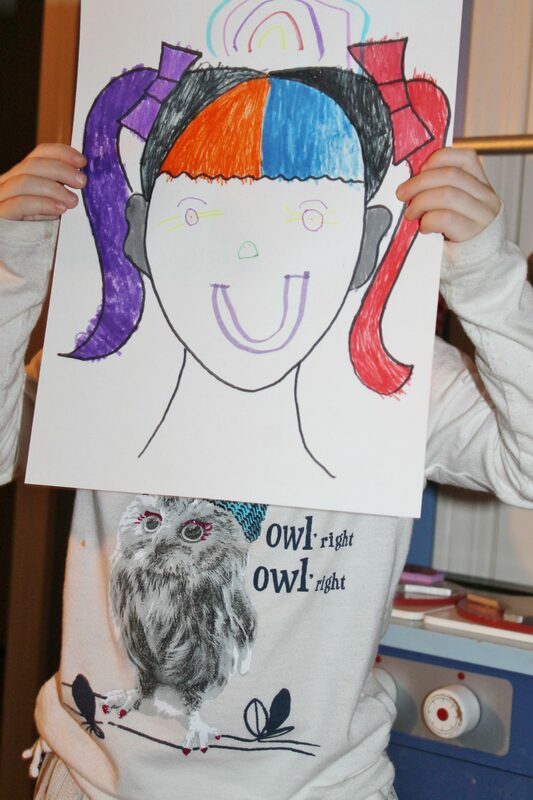 She made a rainbow girl with rainbow hair. She was very proud. 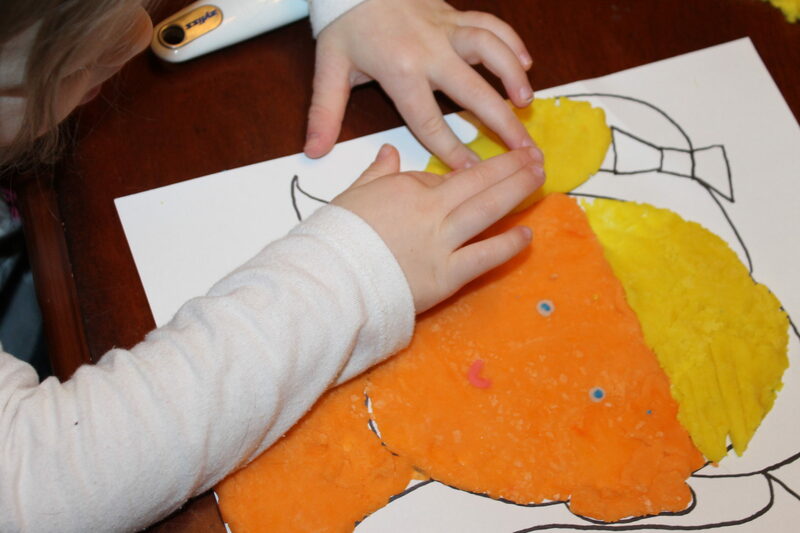 Use laminate sheets over the printables to make them reusable. 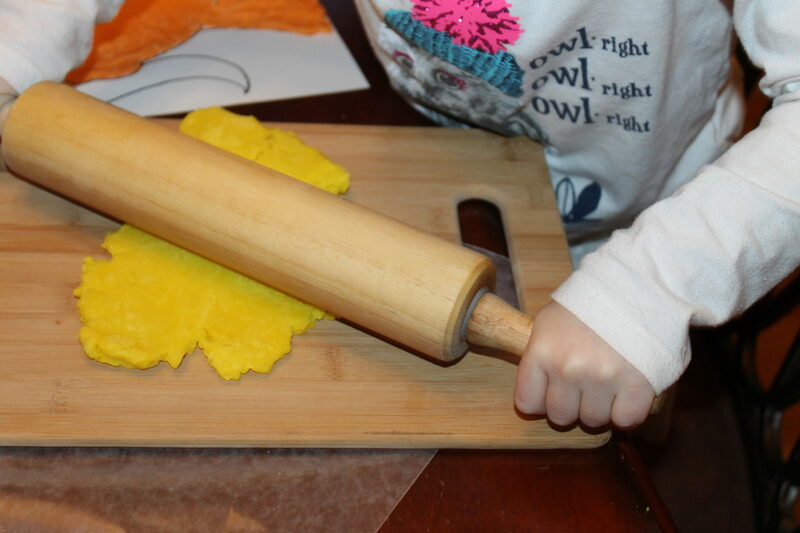 Laminate will make for easy clean up with the play dough. 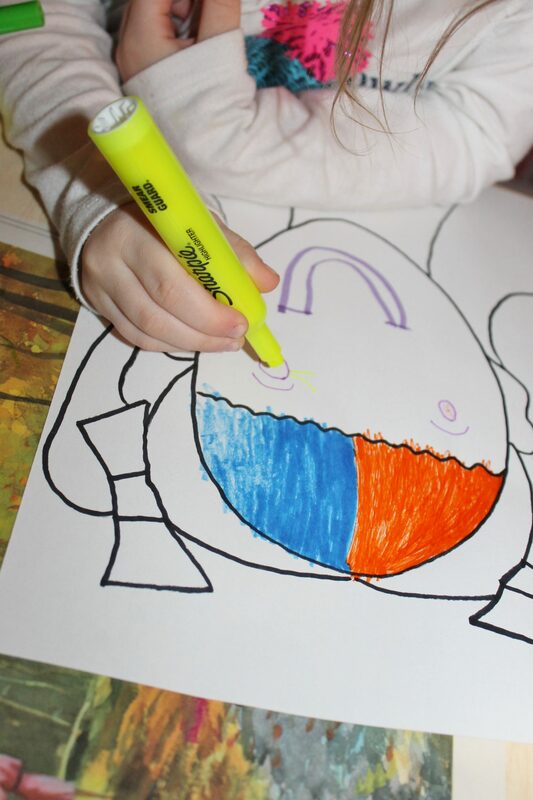 You could also use dry erase markers on it, to color & draw on it over and over again.